2016.9.1 "Italy meets Noh! Noh×Italian Contemporary Music"
CD sales will start on 2014.6.7. 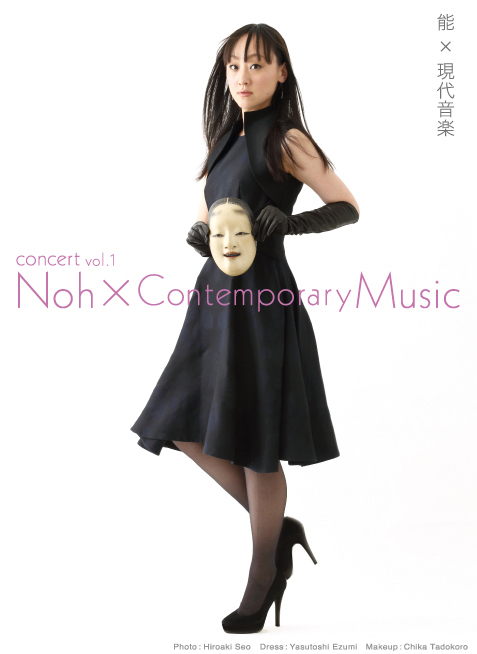 Ryoko Aoki talked about Peter Eötvös's "Harakiri" and my debut CD "Noh×Contemporary Music". "Cafe Figaro by Naoki Hayashida"
Ryoko Aoki was interviewed by Classic New and talked about Peter Eötvös's "Harakiri" on 21st May. The interview is available on YouTube. Please watch it!! 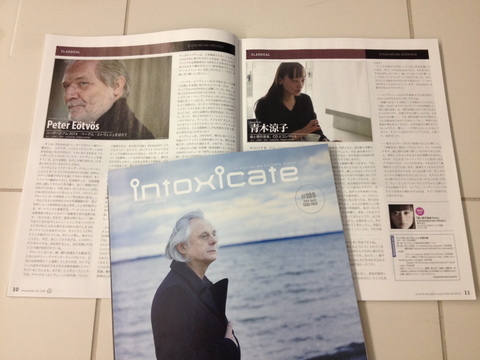 2014.4.20 Tower Records Magazine "intoxicate"
The article of Ryoko Aoki's interview appears in the Tower Records Magazine "intoxicate" 20/4/2014 issue. Interviewer is Prof. Junichi Konuma. Tower Records, Music Review Site "Mikiki"
2014.2.21 Ticket sales will start! Ticket sales will start on 2014.2.21. 2013.5.22 Ticket sales will start! Tickets sale will start one month before the performance. Paola Livorsi, born in Alessandria (Italy), lives and works in Helsinki since 2001. After the BA from the University of Turin and the diplome in composition, she followed the computer music classes of Philippe Manoury at the Conservatory of Lyon. She attended masterclasses at the Siena Chigiana Academy with Franco Donatoni, in Novara with György Ligeti, in Paris at IRCAM (1999-01). In 1997 she studied at the Sibelius Academy in Helsinki with Kaija Saariaho and Jean-Baptiste Barrière. In 1999-2001 She attended the computer music courses in Paris at CCMIX and IRCAM. Music by Livorsi has been performed in Paris Agora, Helsinki Musica Nova, Saarbrücken, Takefu (2004-05), Berlin März Musik, Venice Biennale, Turin De Sono and Milano Musica. She collaborated with Klangforum Wien, Arditti Quartet, DSO Orchestra, Quatuor Diotima and Helsinki Chamber Choir. 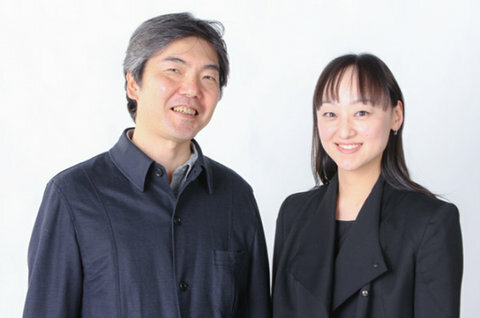 She was invited by Toshio Hosokawa to Takefu, Berlin and Banna Foundation. She is interested in exchange with other arts, as in the projects « Rooms of Elements » (Northern textile art exhibition « 1 : infinite », Helsinki, Trondheim, Reykjavik 2006-07) and « Self-portraits, silent voices » (Silvia Reichenbach photography, Saila Susiluoto prose poems, 2011-12). She is a member of the experimental art gallery MUU (www.muu.fi) and of the artists group Catalysti (www.catalysti.net). Collaborates with the Aalto University Media Lab and the Sibelius Academy. Her work has been acknowledged by the Finnish Cultural Foundation and the Arts Council of Finland. She is a member of the Society of Finnish Composers and correspondent from abroad for the Italian magazine « Il Giornale della Musica ». Yasuko Yamaguchi was born in 1969 in Nagasaki, Japan and studied composition at Tokyo National University of Fine Arts and Music with Akira Kitamura, Hideo Kobayashi and Michio Mamiya. From 1997 she gone on with her studies at Robert-Schumann-Hochschule Düsseldorf with Manfred Trojahn, where Yasuko Yamaguchi received a Diplom in composition in 2000. She was a winner of such competitions as The 13th Kanagawa Art Festival Chorus Piece Competition (1989) and The 8th Competition for Young Composers by JSCM (1992). In 2005 she received the Düsseldorf Music Prize. She was also commissioned by Kunststiftung NRW, Tonhalle Düsseldorf, Dr. Karl Emil und Lilli Brügmann Stiftung and by Düsseldorfer Altstadt Herbst, for which she composed a orchestrapiece "Das Stehaufmännchen ist umgefallen" (1999). This work was nominated for the 10. Akutagawa compositionprize (2000) and in succession was performed by many famous japanese orchestras such as the Kyoto Symphony, the Orchestra Ensemble Kanazawa (those ware conducted by Hiroyuki Iwaki), the Yamagata Symphony Orchestra and the New Japan Philharmonic Orchestra. In December in 2003 was issued the CD 'Das untemperierte Klavier' (toypiano: Bernd Wiesemann, Cybele Verlag), for that was producted Yamaguchi's toypianopiece "Zuckerregen". In Februar in 2004 recorded her orchestrapiece "Das Stehaufmännchen ist umgefallen" on a CD of Orchestra Ensemble Kanazawa (Conducted by Hiroyuki Iwaki, Warner Music Japan). 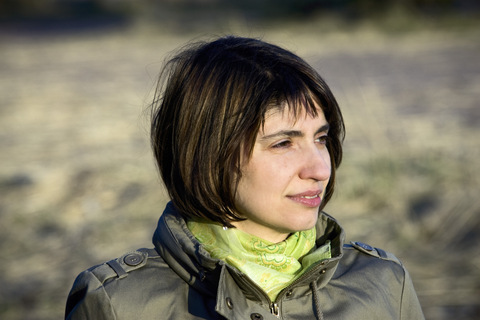 Her works have been performed by numerous ensembles worldwide, such as the e-mex neue musik ensemble, the notabu. ensemble in Düsseldorf, the Thürmchen Ensemble in Cologne, 175 East in New Zealand, De Ereprijs in the Netherlands, The New Japan Philharmonic Orchestra in Tokyo, Tokyo Sinfonietta, the Ensemble SoNoR in Azerbaidzhan, and were heard in many festivals, such as the 'The 19th Conference and Festival of Asian Composers' League 1998' in Taiwan, 'The International Gaudeamus Musicweek 1999' in the Neatherlands, 'The 14. Niedersächsischen Musiktagen 2000' in Hannover, 'The 7th International Youth Music Forum 2001' in the Ukraine, 'Klangspuren' at the Munich Biennale 2008, 'ADEvantgarde' 2009 in Germany, and 'Music From Japan Festival 2010' in New York. In May in 2007 in Dortmund and in September in 2008 in Düsseldorf she got her portraitconcerts for the chamber music. 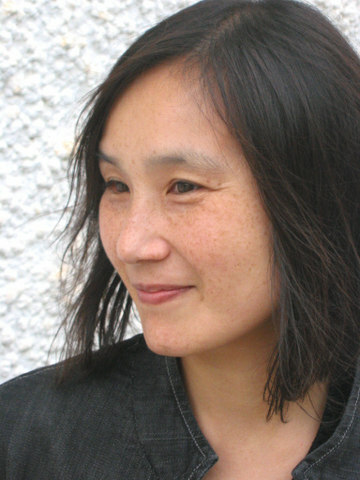 Yasuko Yamaguchi lives in Düsseldorf, Germany as a freelance composer. 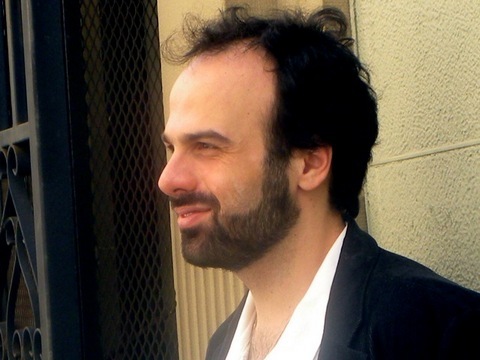 Born in Cyprus in 1971, composer Vassos Nicolaou studied at the Academies of Music in Cologne and Frankfurt, the Paris Conservatory and at IRCAM, working with York Höller, Marco Stroppa, Marc-André Dalbavie, Philippe Leroux and Beat Furrer. Vassos Nicolaou has been the recipient of numerous awards and scholarships from institutions such as the International Ensemble Modern Academy, Herrenhaus Edenkoben (on recommendation of Peter Eötvös), Athens Megaro, the Weimar Academy of Music - (Franz Lizst Scholarship) and the Cité des Arts in Paris. In 2005 he was awarded the "Bernd Alois Zimmermann Prize" from the City of Cologne. In 2007 a jury which included Pierre Boulez and Wolfgang Rihm selected Nicolaou for the prestigious "Giga-Hertz-Special-Award for Electronic Music" and for the following two seasons he was a composing fellow at ZKM in Karslruhe. 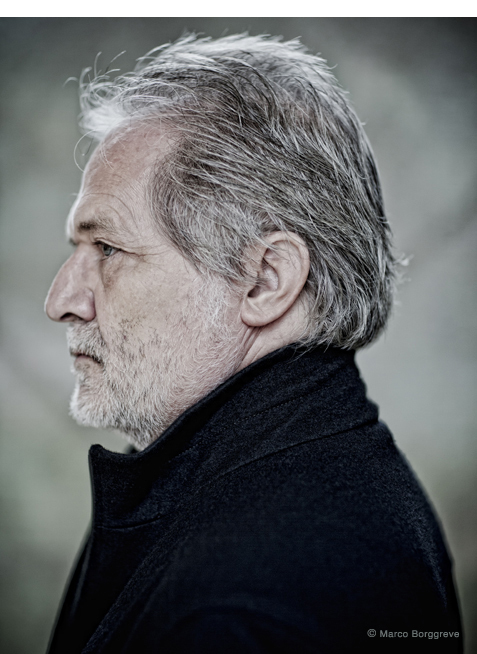 In 2008 he was awarded the Tremplin commission by the reading panel of IRCAM and Ensemble intercontemporain. In 2009 he was an associate composer IRCAM and creator-in-residence at Tokyo Wonder Site. In 2003 Kimata, commissioned by The Pharos Trust, was premiered by the London Sinfonietta. In 2007 Lie(a)n and Rituals were premiered by the International Ensemble Modern Academy and in 2008 Redshift and Recent by the Ensemble Modern. Ensemble intercontemporain premiered Réflexions in 2004 and Navigate for large ensemble and live electronics in 2009 at the Centre Pompidou. A further new work - Anima - has been commissioned and performed by the Ensemble intercontemporain in February 2010. In 2008 his work Orbit was performed at Ircam by Dimitri Vassilakis during the Agora Festival. In 2009 the same festival commissioned Otemo with live electronics that has been performed by the renowned vibraphonist Daniel Ciampolini at the Musée d´Orsay. Following the enthusiastic reception of the premiere of his Five Piano Etudes given by Tamara Stefanovich in 2008, the Klavier Festival Ruhr has commissioned new series of piano pieces for its 2009, 2010, 2011 and 2013 seasons performed by Stefanovich and Pierre-Laurent Aimard. Ensemble Modern commissioned Vertices for bassoon and live electronics for its 30th anniversary concert performed by Johannes Schwarz at the Alte Oper Frankfurt in January 2011. 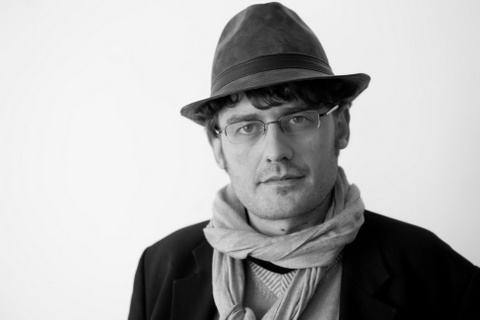 Commissioned by the WDR (West German Radio), Nodes (2008) was premiered by the Ensemble Dissonart and an additional work - IDEX - has been commissioned for the Witten Festival in 2011 and performed by the Ensemble Modern under Johannes Kalitzke. In 2012 the Helsinki Chamber Choir and the Ensemble musikFabrik commissioned and premiered Ison for 16 solo voices and Farbenmaschinen for large ensemble. Nicolaou has collaborated also among others with Peter Eötvös, Emilio Pomarico, Beat Furrer, James Wood, Jonathan Stockhammer, Michael Linville, Diego Masson, Jean Deroyer, Kasper de Roo, Moscow Contemporary Music Ensemble, Kreutzer Quartet, Ensemble Ergon, Münster Opera and the New World Symphony Percussion Consort. Stratis Minakakis is a Greek composer and conductor. His compositional interests include memory ancient and modern Greek texts, complex symmetries, and the exploration of language. As a composer, he has collaborated with leading performers and ensembles across Europe, North America and Japan, including conductor Rüdiger Bohn, recorder virtuoso Tosiya Suzuki, Noh performer Ryoko Aoki, the Next Mushroom Promotion ensemble, the PRISM and Stockholm saxophone quartets, the Arditti String Quartet, Ensemble Counter)induction, and Dolce Suono Ensemble. A recipient of numerous academic and artistic awards, he most recently received the 2010 Takefu International Composition Prize in the Takefu International Festival in Japan (Toshio Hosokawa, director) for his work Aggeloi II. As a conductor, he has directed chamber ensembles in performances of early 20th century and contemporary music. He was recently appointed Music Director of NotaRiotous, Boston's premier ensemble specializing in microtonal music. In addition to NotaRiotous, he is also involved with EMMA, a collaborative platform combining research, lectures and performance of electroacoustic, microtonal, multimedia and algorithmic music. Also active in the field of music theory, his recent work focuses on analytical approaches to early Modernism and the music of Xenakis and Ligeti. 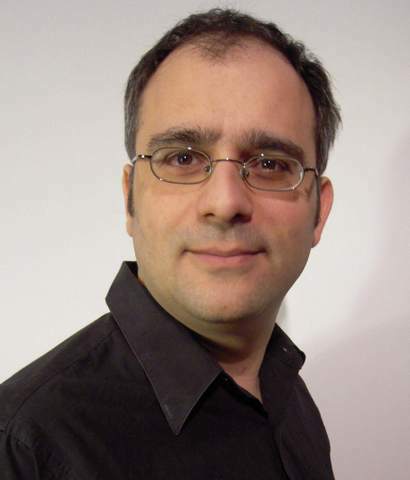 Stratis Minakakis is a faculty member at the New England Conservatory Music Theory Department in Boston, Massachusetts. He lives in Cambridge with his wife Dolores, daughter Catalina, and cat Amalia. Born in Marcq-en-Baroeul (France) in 1980, Aurélien Dumont has obtained a master's degrees in art-therapy (Medical Faculty of Tours) and musicology (University of Lille). Then he was admitted to the Paris Conservatoire (CNSMDP) where he joined the composition class of Gérard Pesson. There he was graduated by a first prize for his piece «Himitsu no neya - short version», which received the Salabert Prize 2012. Greatly interested in musical technology, he has taken part of Cursus 1 & 2 (Composition and Computer Music) at IRCAM. He has won several international competitions and has received prestigious commissions: from the French State, Radio France, Ars Musica Festival in Belgium, Takefu Festival in Japan, Péniche Opéra, Maison du film court in Paris etc. From 2012 to 2015, Aurélien Dumont is a PhD contractual at SACRe (Art Creation Science Research) in the new PSL University (Paris Science Lettres), where he deepened his thiking on transdisciplinarity and the emergence of new artistic's forms. His musical theater "Grands Défilés" (directed by Frédéric Tentelier) was premiered at the Lille Opera in 2011. His works have been performed in festivals such as Ars Musica in Brussels (« compositeur découverte » 2012), Musica Strasbourg, Milano Musica, Ultraschall in Berlin (2013), Music Protocol in Graz (2013), Biennale Lyon (2014) and in halls like Kioi Hall in Tokyo, Cité de la Musique in Paris, Flagey in Brussels, or in Royaumont. In November 2012, a portrait concert is given by Ensemble KNM in Berlin. Aurélien Dumont's music could be described as a temporal slide through a panorama of small landscapes where surprising musical objects coexist. The Japanese culture and contemporary poetry (including a long collaboration with Dominique Quelen) have been important influences on his work, characterised by an unconventional blend of theater and music.